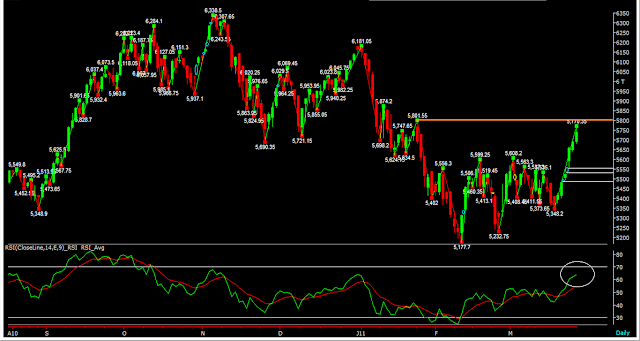 Nifty Daily Chart: Nifty still have some room for upside movement before it turns down. RSI also supports this view. There is a stiff resistance seen at 5801. Volumes are not picking up and this leaves us with a question whether the upside movement is just another correction.